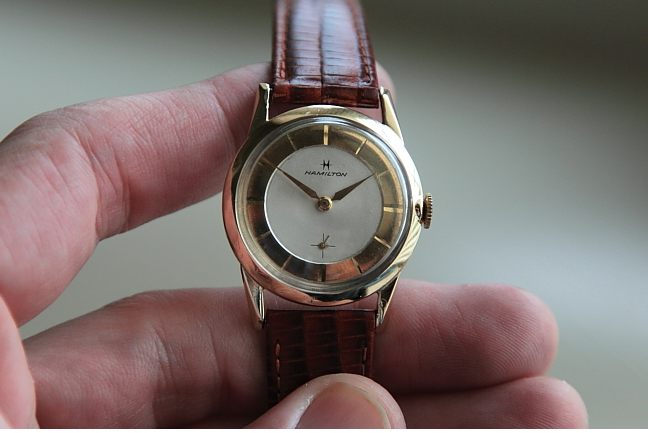 In the late 1950's the American watch industry was under considerable price pressure from quality Swiss (and Japanese) movements entering the US market. Low cost, post WWII, economies made it very challenging for US manufacturers to compete at lower price points. 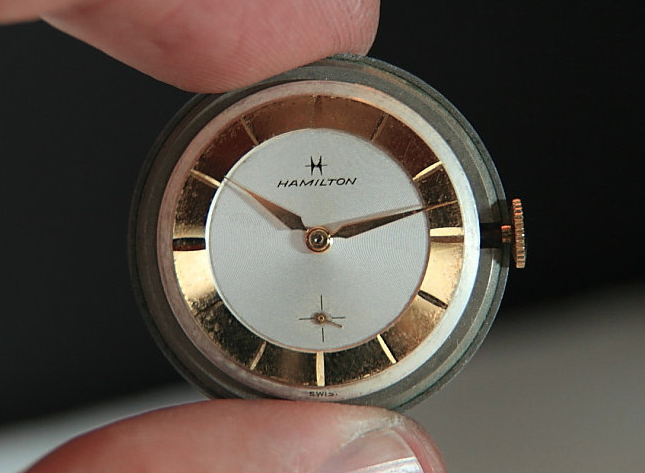 Hamilton tried all sorts of strategies, including developing lower cost brands (Vantage, et al) but they also imported Swiss movements and assembled watches in the USA - Lancaster, PA specifically. An example of this Swiss-movement strategy is the Arnold. 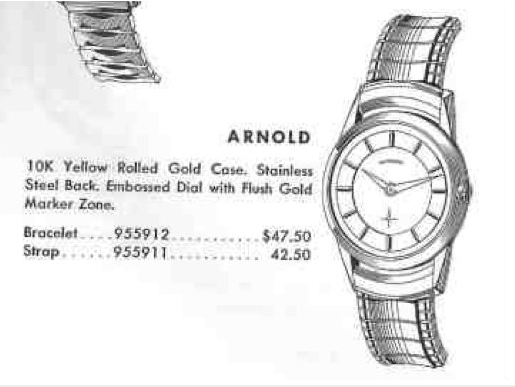 Introduced in 1957, the Arnold was produced through 1961. Hamilton's catalogs from this period also show their cost cutting, as the quality of the images leaves much to be desired. A common design element in many watch models from mechanical, to automatic and even to the new electrics, was the use of embossed dials with gold marker zones. The Arnold's dial has a gold marker zone and the white field is also textured with concentric circles. The Arnold utilizes as an 11-1/2 ligne (sized), 17 jewel, grade 673 movement. Assembled in it's 10K RGP case with stainless steel back, it's a nice looking watch.